Professor Augustus S. F. X. Van Dusen, Ph.D., LL.D., F.R.S., M.D., M.D.S. is a fictional character in a series of detective short stories and two novels by Jacques Futrelle. 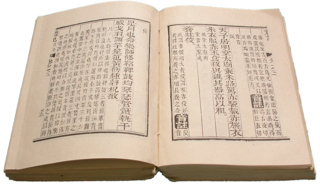 Some of the short stories were originally published in The Saturday Evening Post and the Boston American. Futrelle was born in Pike County, Georgia. He worked for the Atlanta Journal , where he began their sports section; the New York Herald ; the Boston Post ; and the Boston American , where, in 1905, his Thinking Machine character first appeared in a serialized version of the short story, "The Problem of Cell 13". Pike County is a county located in the west central portion of the U.S. state of Georgia. As of the 2010 census, the population was 17,869. The county seat is Zebulon. The Boston American was a daily tabloid newspaper published in Boston, Massachusetts from March 21, 1904 until September 30, 1961. 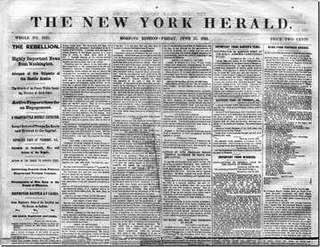 The newspaper was part of William Randolph Hearst's chain, and thus was also known as Hearst's Boston American. Scituate is a seacoast town in Plymouth County, Massachusetts, United States, on the South Shore, midway between Boston and Plymouth. The population was 18,133 at the 2010 census. 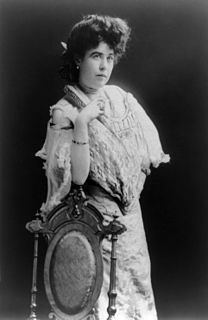 Margaret Brown, posthumously known as "The Unsinkable Molly Brown", was an American socialite and philanthropist. She is best remembered for encouraging the crew in Lifeboat No. 6 to return to the debris field of the 1912 sinking of RMS Titanic to look for survivors. Accounts differ on whether the boat actually returned to look for survivors, and if so, whether any survivors were found. During her lifetime, her friends called her "Maggie", but even by her death, obituaries referred to her as the "Unsinkable Mrs. Brown". The reference was further reinforced by a 1960 Broadway musical based on her life and its 1964 film adaptation which were both entitled The Unsinkable Molly Brown. Thomas Andrews, Jr. was a Irish born British businessman and shipbuilder. He was managing director and head of the drafting department of the shipbuilding company Harland and Wolff in Belfast, Ireland. As the naval architect in charge of the plans for the ocean liner RMS Titanic, he was travelling on board that vessel during her maiden voyage when the ship hit an iceberg on 14 April 1912. He perished along with more than 1,500 others. His body was never recovered. "The Problem of Cell 13" is a short story by Jacques Futrelle. It was first published in 1905 and later collected in The Thinking Machine (1907), which was featured in crime writer H. R. F. Keating's list of the 100 best crime and mystery books ever published. The story was selected by science fiction author Harlan Ellison for Lawrence Block's Best Mysteries of the Century. Louise Kink Pope was one of the last remaining survivors of the sinking of the RMS Titanic on April 15, 1912. Emily Maria Borie Ryerson was an American first-class passenger who survived the sinking of RMS Titanic on April 15, 1912. Private Daniel Buckley, Jr. was an English-born passenger and one of the survivors of the sinking of the RMS Titanic on 15 April 1912. After acquiring U.S. citizenship, he served as an American soldier during World War I and was killed in combat. Henry Birkhardt Harris was a Broadway producer and theatre owner who died in the sinking of RMS Titanic. His wife was actress Renee Harris, who was injured in a fall on the Grand Staircase of Titanic. She survived the sinking and lived until 1969. My Lady's Garter is a lost 1920 American silent mystery film directed by Maurice Tourneur and starring Wyndham Standing, Sylvia Breamer and Holmes Herbert. It was based on the 1912 novel of the same name by Jacques Futrelle, a writer who perished with the sinking of the Titanic in 1912. 1 2 3 Marks, Jeffrey A. "No Escape: Jacques Futrelle and the Titanic". Mystery Scene magazine. Retrieved August 17, 2016. ↑ "Biography: Jacques Futrelle". Encyclopedia Titanica . 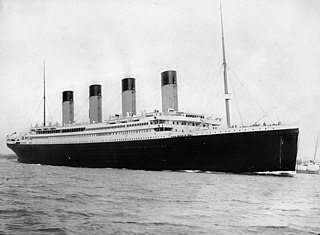 ↑ "Futrelle Refused to Enter Lifeboat; His Wife Tells How He Parted with Her on Titanic, Commanding Her to Save Herself". The New York Times. April 19, 1912. p. 6. ↑ "Futrelle's Mother is Dead; Sinks from Grief Following Loss of Son on the Titanic". New York Times. July 30, 1912. p. 1. ↑ Colins, Max Allan (1999). The Titanic Murders. Berkley. ISBN 9780425168103. ↑ Futrelle, Jacques. "The Phantom Motor". Jacques Futrelle. Archived from the original on 2016-02-26.